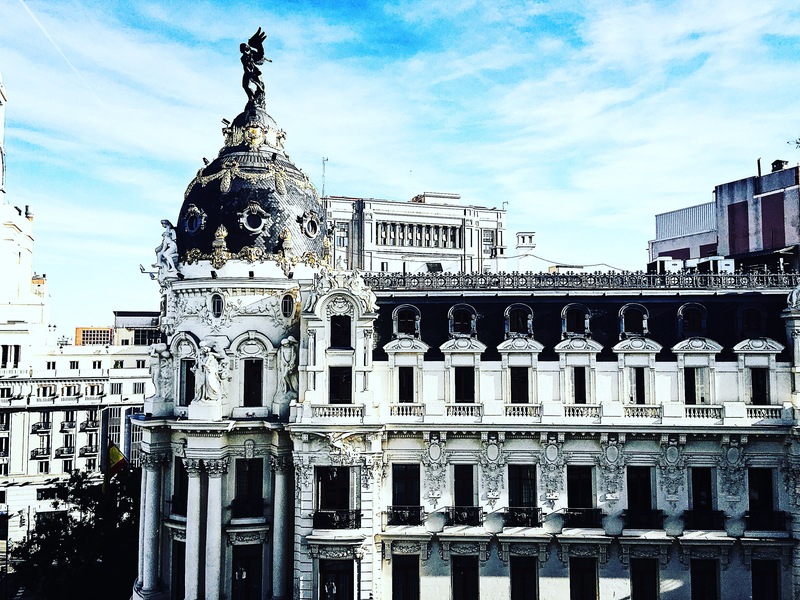 If you are following us on Instagram you would know that we had the pleasure of recently visiting the wonderful city of Madrid. 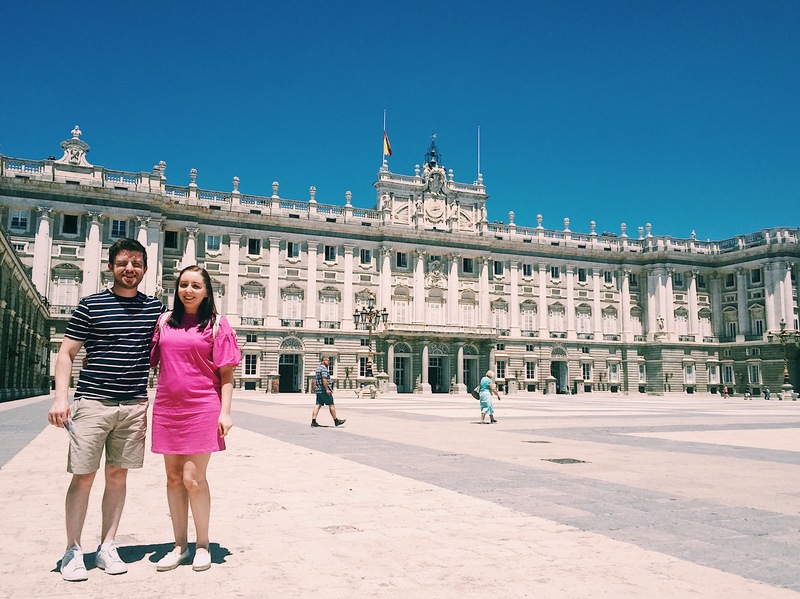 Madrid is an incredibly beautiful city (and also the city of purple sunburn- nicole went purple, really!!) , with European style architecture that you know has an interesting story behind it. 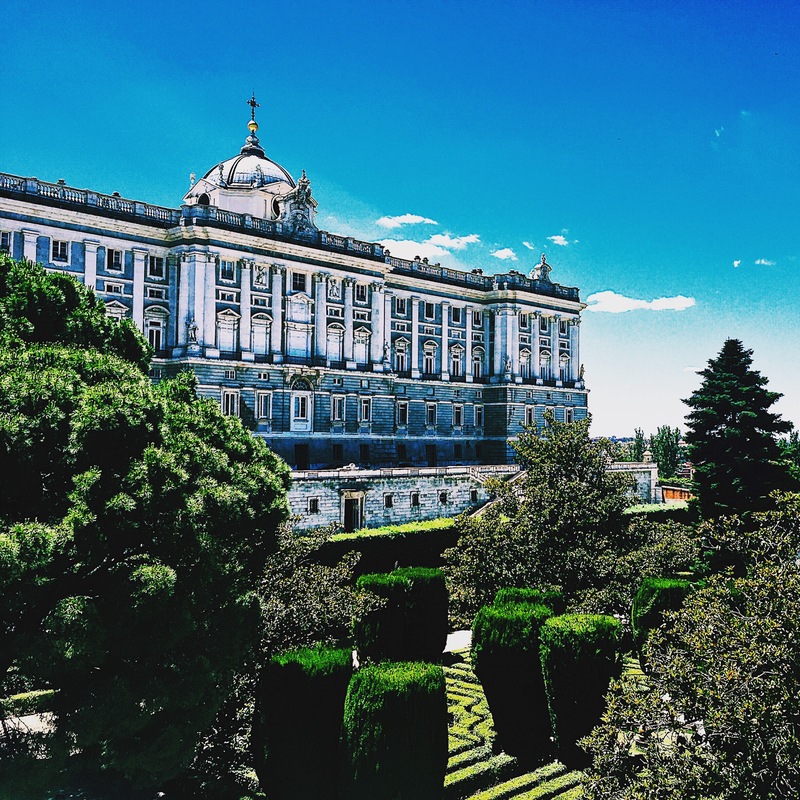 Madrid is the capital and largest city in Spain and you can tell instantly upon arrival that the city is busy and has plenty to offer, with a fantastic atmosphere. 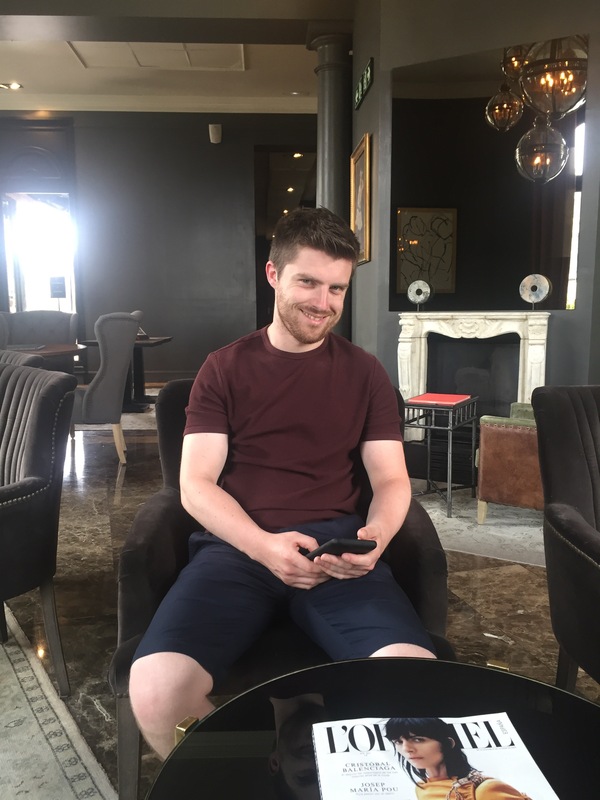 Read below to see how we got on in this beautiful city! Barajas airport is the main international airport in serving Madrid and is most likely the way you will arrive by air. The best way to get into the city is by Taxi which have a set fare of 30 euro from the airport to the city centre. A cheaper option is to take the light rail from terminal 4 to Chamartin station in which you can get to any part of the city by using the rail service. 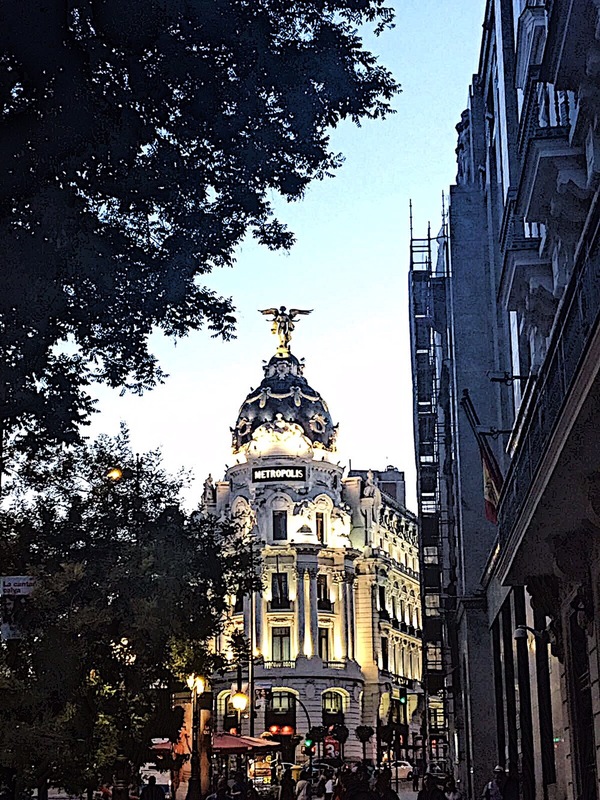 We stayed in the Principal Hotel which is located on Gran Via, Madrid’s famous shopping street. 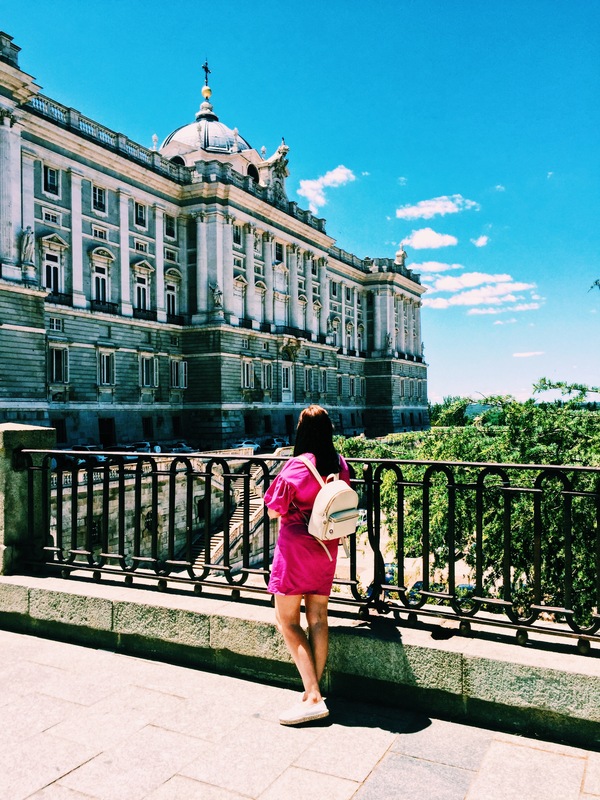 The location couldn’t have been better as we were a short walk away from a number of Madrid’s main sights such as Retiro Park and Prado Museum. The hotel itself is decorated beautifully with attentive service and is also super clean. 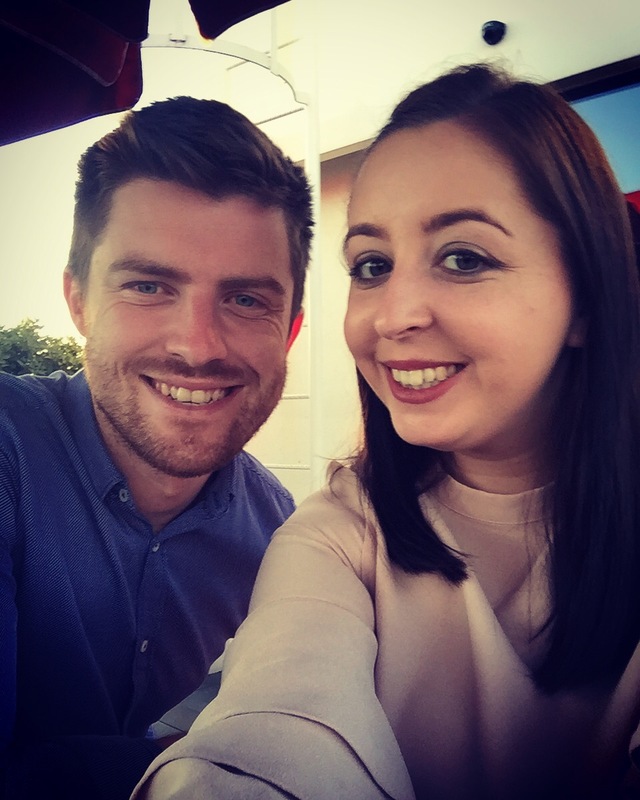 The hotel also has a beautiful rooftop bar with amazing views of the city and is perfect for a mid Week Break in Madrid. 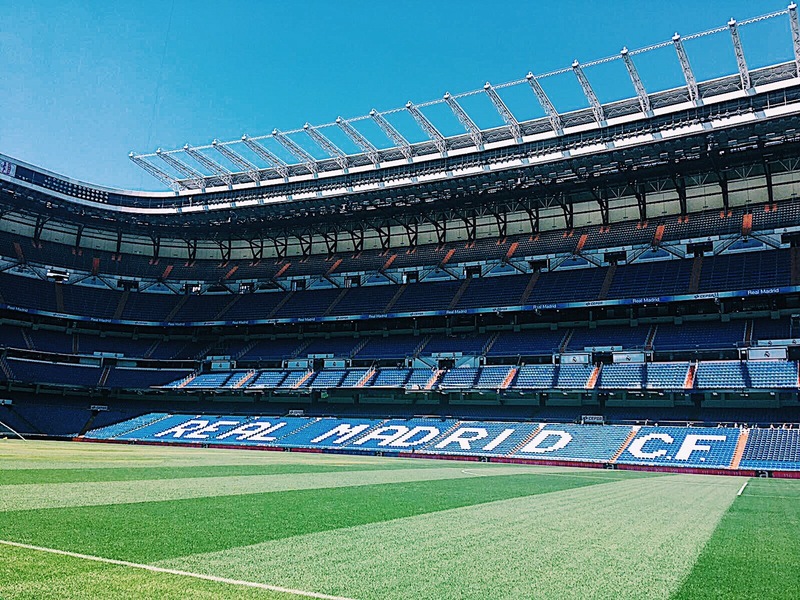 The Santiago Bernabeu, as many people already know is home to the world famous football team Real Madrid. The stadium is situated in the northern part of Madrid and is easily accessible by train via the Santiago Bernabeu station. There are two options available to see this fantastic stadium, the first is to do the stadium tour or if you time it right go to a match. Me and Nicole went on the stadium tour, which cost approximately 24 euro each. The tour includes a panoramic view of the stadium from the top of the stadium, which offers great photo ops. The tour also includes the museum called “the greatest football club in history”, with this title I expected to see a lot of Tottenham Hotspurs but to my shock it was actually about Real Madrid, still don’t understand why it wasn’t about Tottenham Hotspurs. The tour has the same annoying characteristics of many other tours across Europe. Including the compulsory photograph with a computerised background. In which you are asked to pay over the top for. 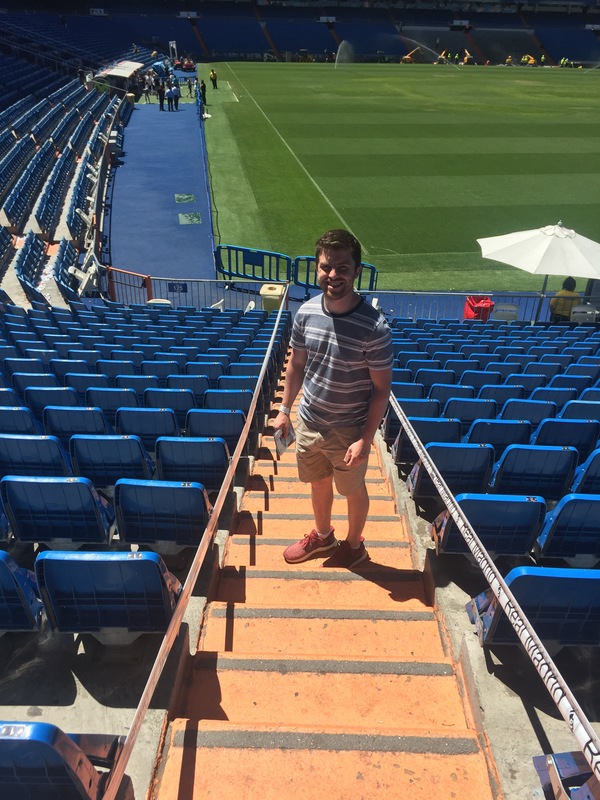 Overall the Bernabeu is a definite when you visit Madrid. Next time I visit Madrid I’ll have to travel to the south side and visit Atletico Madrid’s stadium. 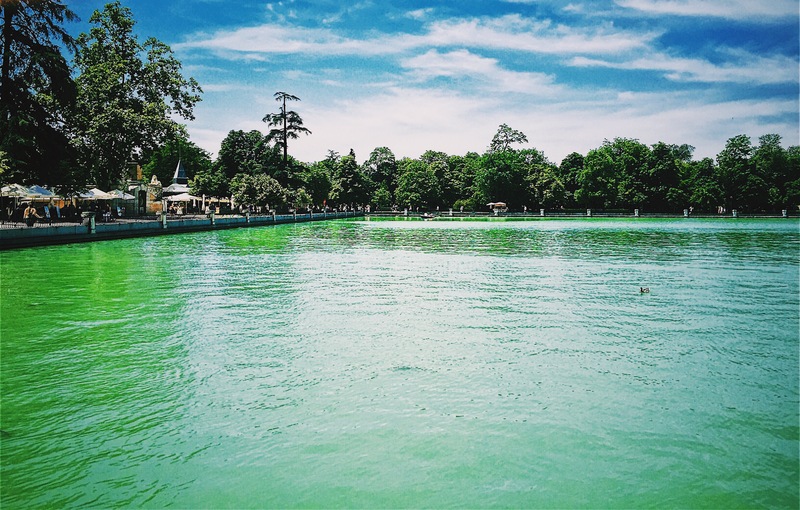 Retiro park is one of the largest parks in Madrid and was my favourite place to visit in Madrid. It was also the best city park I have been to so far. The Retire park is situated close to the Prado museum. 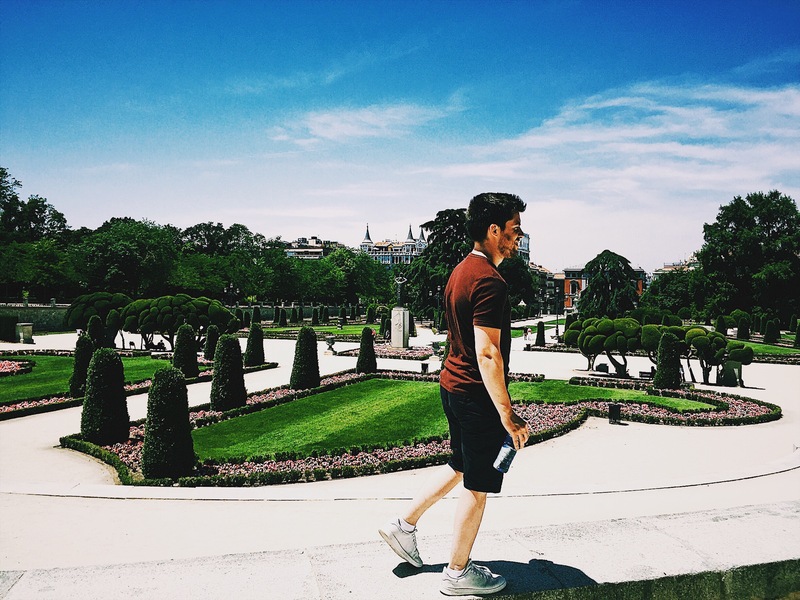 First of all, the Retiro park is huge and one of the most beautiful parks I’ve been to. The park is super clean, full of beautiful flowers and is full of activity (the right types of activities in a park) as there are many restaurants and places of interest in the park. The day we visited was incredibly hot and benches in the shade where in high demand. 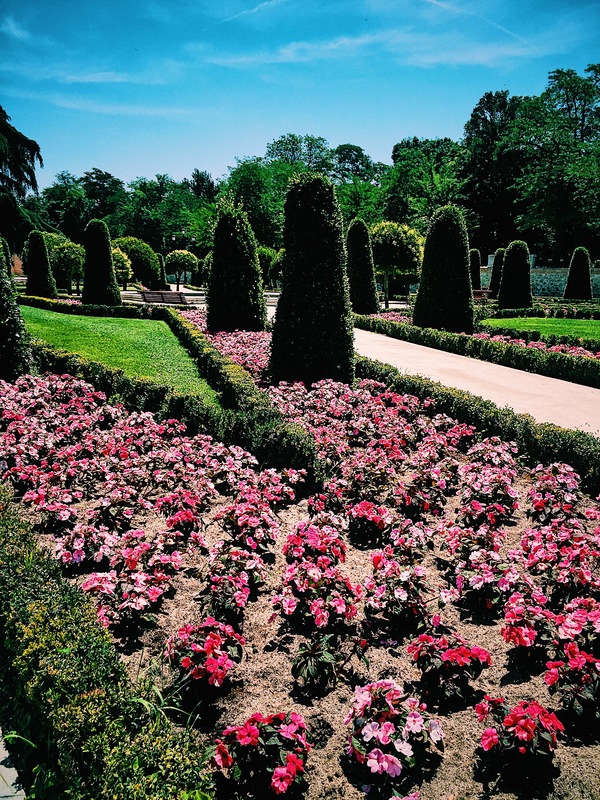 The park is used by many to sun bath as there is no coastline for a beach close to inland Madrid. 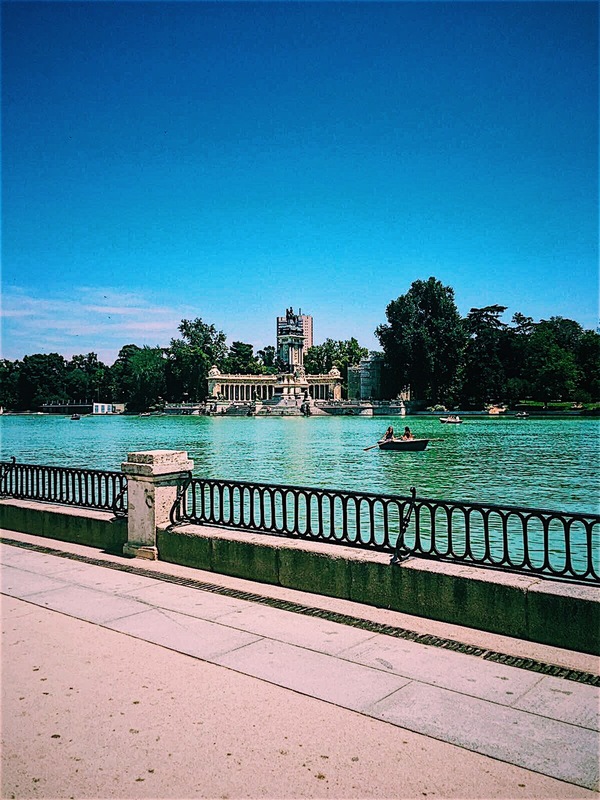 The park includes the monument of Alfonso XII, Avenida de Mexico and the Cristal Palace. 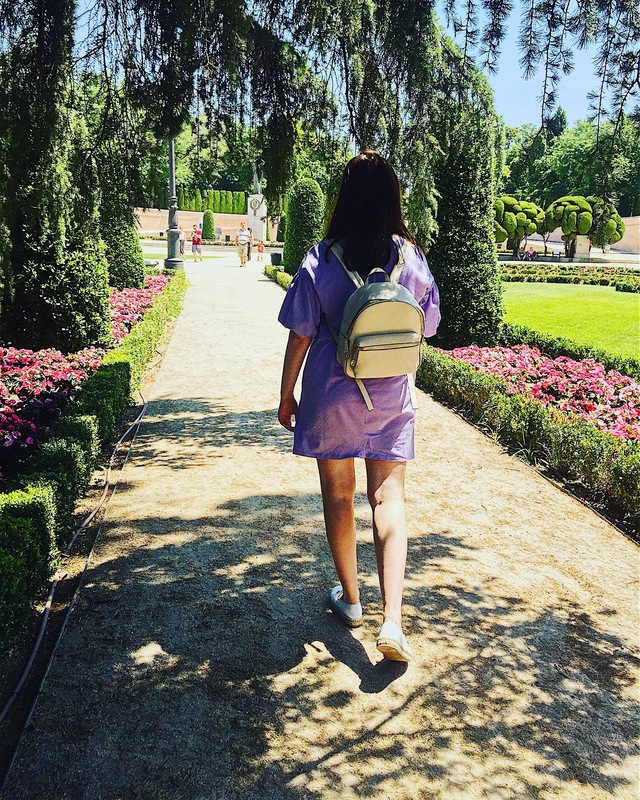 The park is so big that me and Nicole struggled for stamina in the heat to find the Cristal Palace and Rosaleda (rose garden). 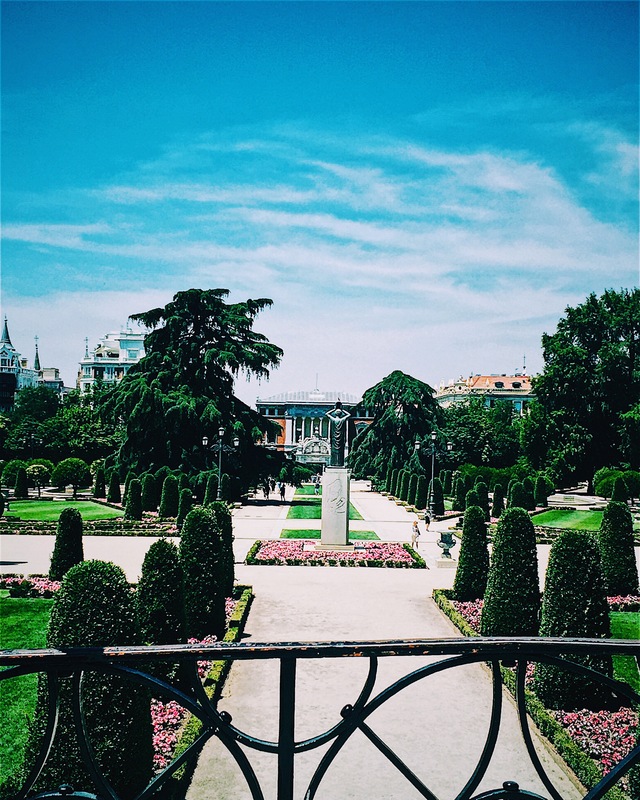 Out of all the attractions we visited in our short time in Madrid, Retiro park would be my number one recommendation for what to visit in Madrid. 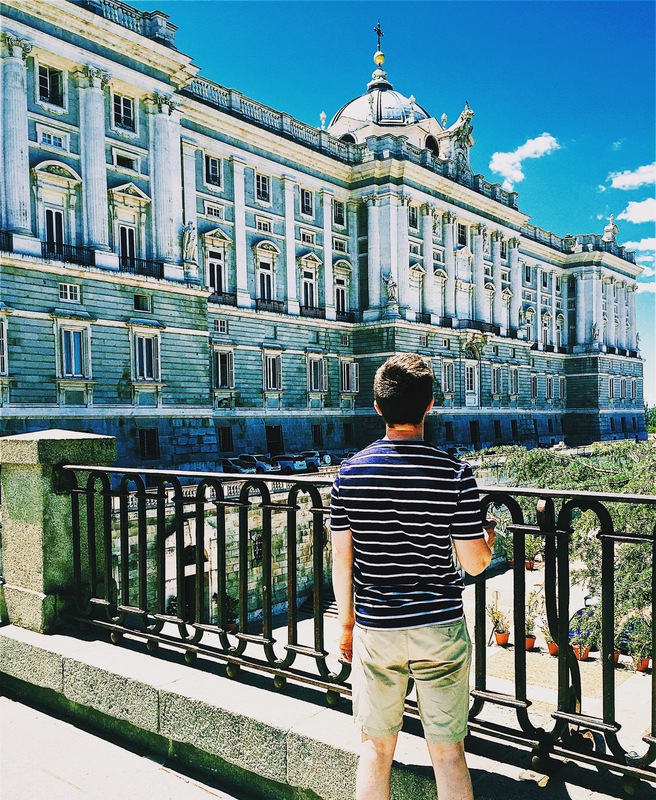 The royal palace of Madrid is the unofficial residence of the royal family of Spain, and is only used for ceremonies. The palace is large and is very well displayed, with each room offering a story and display of what function the room served over the last few centuries. Tickets are around 11 euro each which I believe is worth it for a main attraction in Madrid. 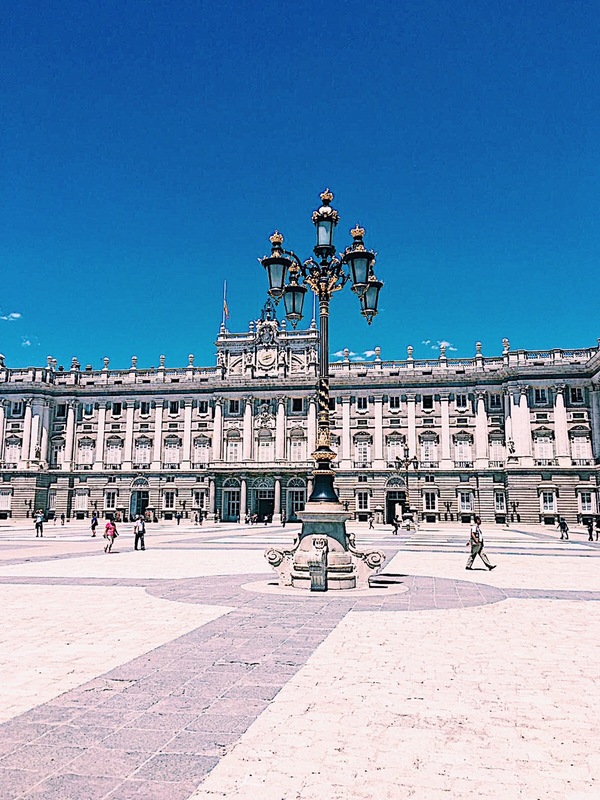 The iconic Plaza Mayor square of Madrid is one of Madrid’s most recognised attractions. 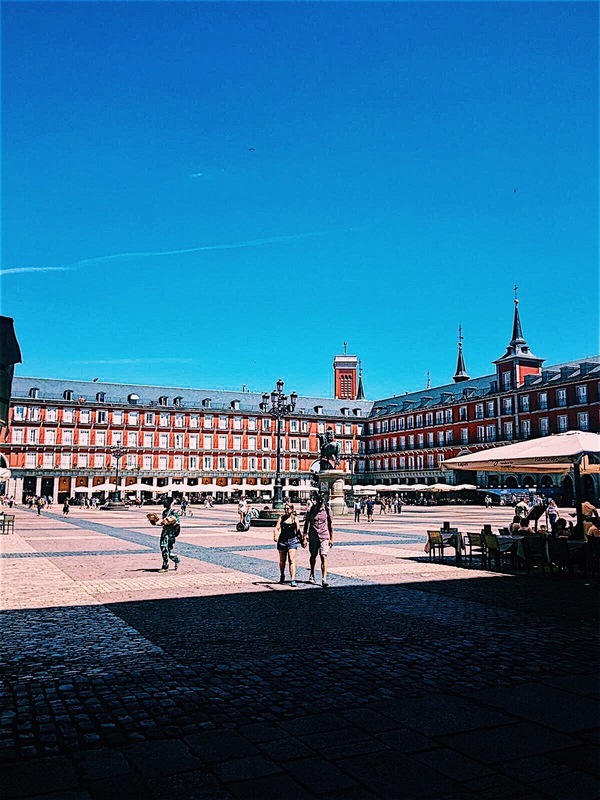 Plaza Mayor is only a short walk from the royal palace of Madrid. Plaza mayor’s red walls and architecture makes it an excellent place to relax and take in the atmosphere. 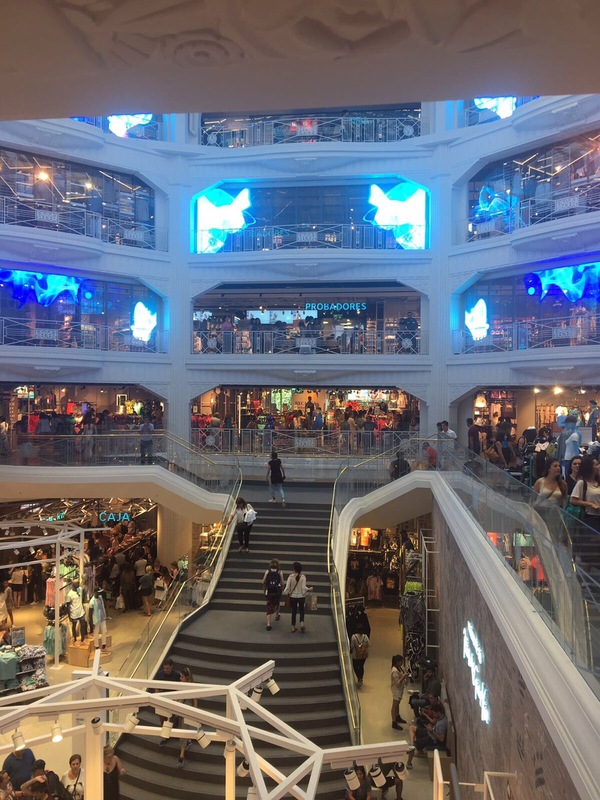 As mentioned Gran Via is Madrid’s main shopping street full of well known brands such as Zara, H&M and also mainland Europe’s biggest Primark, which you have to check out, it has 5 floors!! If your looking for a shopping trip, you should definitely consider Madrid as it has a lot to offer. 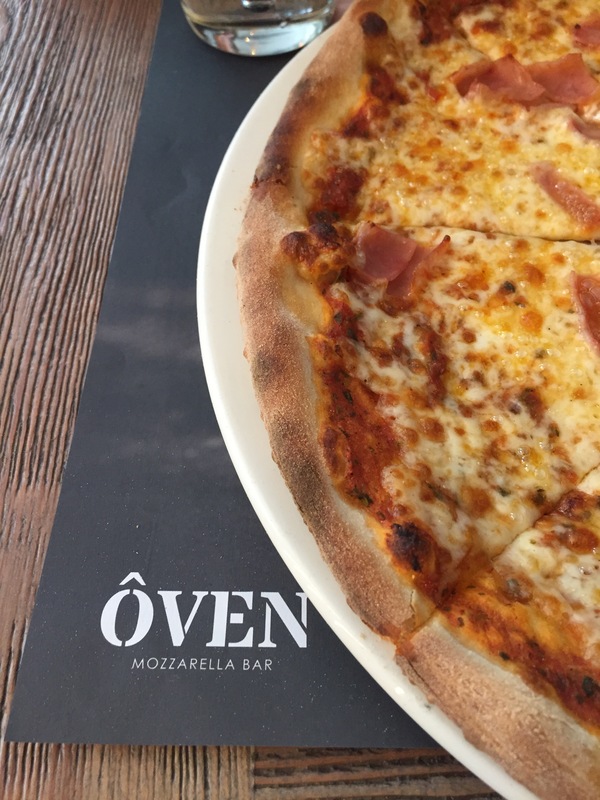 We tried many places to eat in Madrid, and the best one was Oven mozzarella bar on Gran Via, which is situated right beside the Principal hotel. Oven offered one of the best and fresh pizzas I’ve had in my lifetime. Oven is highly recommended if you’d like some quality pizza. 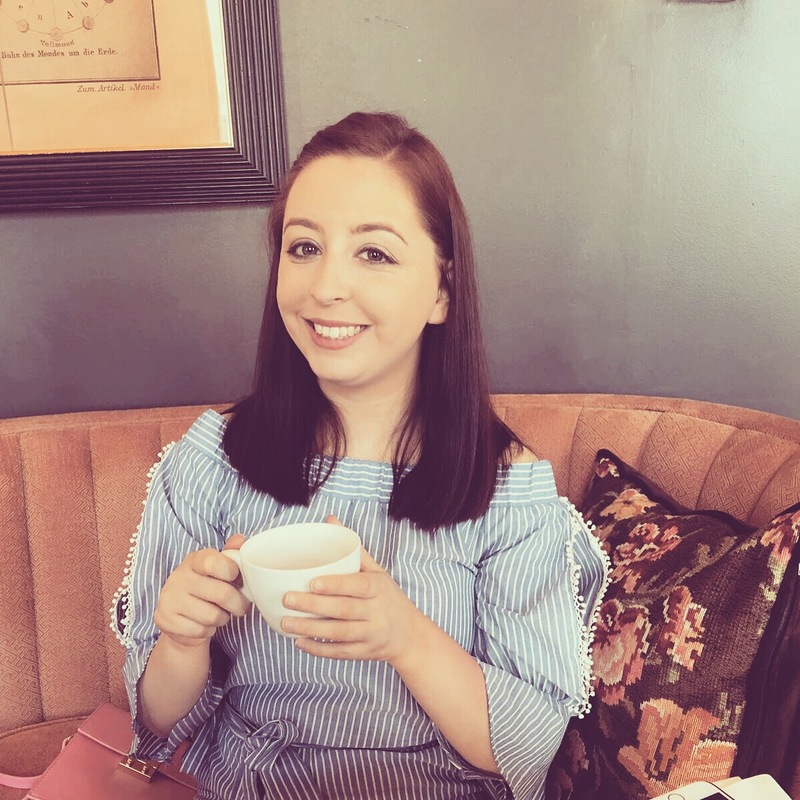 While we visited many of the sights and also got to do a bit of shopping we did not get to see everything on our trip so cannot wait to return to this beautiful city to experience more of what the city has to offer! 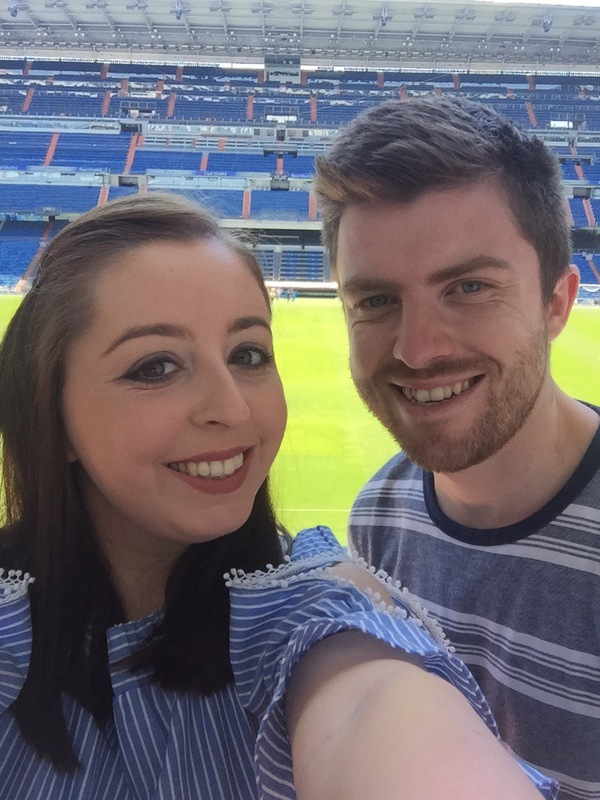 If you are heading on a mid Week Break to Madrid or even for a weekend we hope you enjoy exploring the city as much as we did!